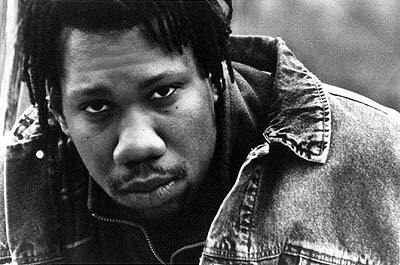 Earlier today (August 27th, 2008), The Untouchable DJ Drastic premiered “KRS-One – The Million DJ March” via his official MySpace page (www.MySpace.com/TheUntouchableDJDrastic). The Million DJ March impacts Washington, DC on August 30th, 2008. Daniel M. Johnson known professionally as The Untouchable DJ Drastic is one of the new generation music industry’s most influential tastemakers. A key initiator of the Million DJ March, Drastic’s influence is essential to not only the cause but the culture as a whole. Growing up in Brooklyn, NY was no joy ride for Drastic. His family was unstable as he grew up with a biological father who played little role in his life. Following the murder of his father, Drastic found himself near homeless at 19 years of age. He took a year off to restructure his path for the future and hasn’t looked back since. 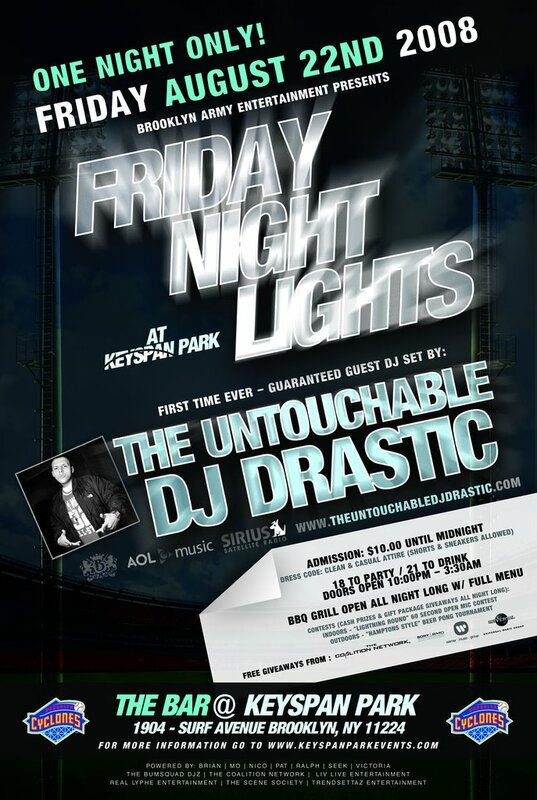 The Untouchable DJ Drastic is a self propelled professional in every aspect of his career. It’s no wonder why he has the backing of not only major record labels but multi-faceted corporations. At 25 years of age, The Untouchable DJ Drastic has dominated every major nightclub in New York City and surrounding areas, broken countless acts propelling them to peak positions on the Billboard charts, toured with platinum recording artists, impacted every form of radio (College, Commercial, Internet, Mobile, and Satellite), instructed students at Scratch DJ Academy, spoken on numerous industry panels, founded his own brand and collective in The Coalition Network, and the list goes on. The Untouchable DJ Drastic also discreetly serves on the Board of Directors and as a front man for The BumSquad DJz Worldwide. Drastic can also be found in-studio working on various forthcoming projects in addition to his own. Video footage of The Untouchable DJ Drastic discussing the Million DJ March can be found on YouTube.com. He recently addressed the event while in the United Kingdom on FM107.9 during a live mix show with host Mark Devlin of The Coalition Network. The Untouchable DJ Drastic will be performing, speaking, and broadcasting live on Sirius XM Satellite Radio on August 30th, 2008. This Fall, listen to all new “Grind Session” mix show sets on your mobile phone. The Untouchable DJ Drastic tears it down for you on the move. 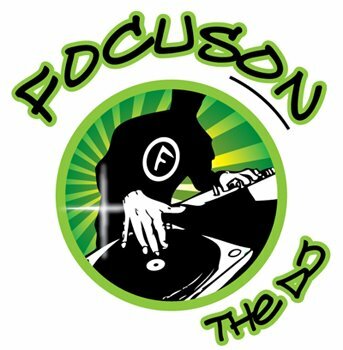 Go to the “Focuson The DJ” radio network via Sprint Radio (Sprint|Nextel) and U.S. Cellular Digital Radio. The Untouchable DJ Drastic presents mix show style intensity while playing today’s hits and much more. 100% edited content. For millions of listeners, it just got better! Additional charges may apply. Contact your cellular provider for full details. The Untouchable DJ Drastic touches down in the United Kingdom on Bank Holiday August 25th, 2008. The Untouchable DJ Drastic broadcasts a special edition of “The Grind Session” for the United Kingdom at 10:00PM on FM107.9 radio. DJ Mark Devlin hosts “Urban Anthems” catering to 90’s Hip Hop, R&B, & Reggae hits. The broadcast will feature commentary from Kid Fury and more. The Untouchable DJ Drastic is set to touch down in the United Kingdom to promote his brand and name in addition to The Million DJ March. The Untouchable DJ Drastic acknowledges the 12th anniversary of Tupac Amaru Shakur’s untimely passing. Exactly 1 month prior to the day of the anniversary, The Untouchable DJ Drastic revisits a rare Tupac Shakur release from his years on Death Row Records. 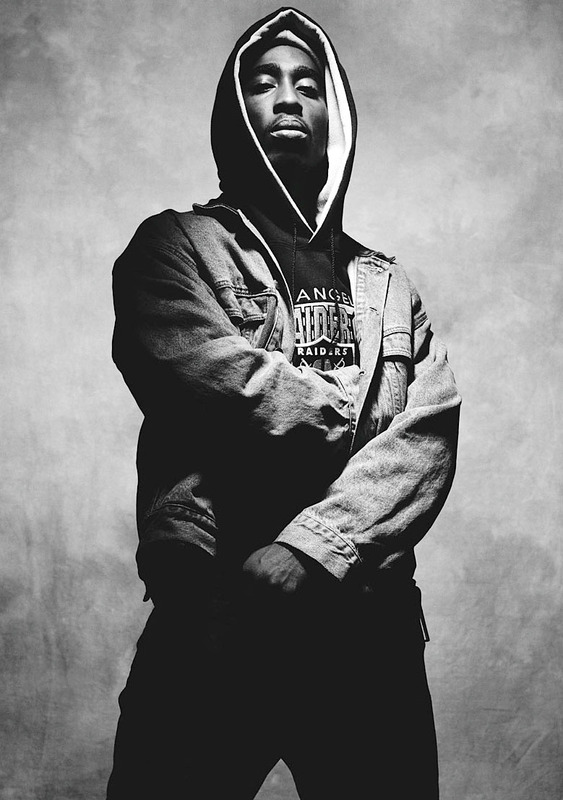 A favorite of The Untouchable DJ Drastic, “Toss It Up” displays Tupac at the peak of his success. Any Touch reader that happens to be visiting Big Bad New York City would be well advised to seek the whereabouts of the city’s Untouchable DJ Drastic. It’s difficult enough competing in the Hip Hop DJ game; but being a contender in the place that started it all requires an extra creative edge. It’s a challenge that Brooklyn-born Daniel M. Johnson, better known as DJ Drastic, has embraced fully. From low-key beginnings spinning at neighborhood parties, Drastic’s determination to better his life by doing something meaningful saw him acquire both the party-rocking skills and the business-minded approach to start spinning at some of the more celebrated clubs across the bridge in Manhattan. Radio-wise, Drastic first presented his appropriately-titled “Grind Session” mix shows on AOL Radio and New York college radio station WSIA. He has taught mixing skills to aspiring DJs at New York’s famous Scratch Academy, founded The Coalition DJ Network as a collective of key urban music DJs and supported artists; most notable being MIMS for whom he is largely responsible for breaking along with the banger “This Is Why I’m Hot” to U.S. radio. NOTE: Touch Magazine is defunct as of July 2008. Friday August 22nd, 2008 – ONE NIGHT ONLY! Party Indoors or Outdoors w/ Live Sound System In Both Areas! August 08th, 2008 — New York, NY — Cloud Kicker Original, an aspiring clothing company which caters to young adults; today announced it has entered an endorsement agreement with The Untouchable DJ Drastic. Under the terms of the agreement, The Untouchable DJ Drastic has granted Cloud Kicker Original rights to use his name, voice, likeness, and other identifying indicia in connection with the advertisement, promotion, and sale of Cloud Kicker Original’s apparel line. The Untouchable DJ Drastic, an internationally embraced DJ and industry professional is without question one of the music industry’s most influential tastemakers. He is widely noted for having propelled numerous acts to peak positions on the Billboard charts. He impacts numerous media outlets including radio. The Untouchable DJ Drastic is a key initiator of the Million DJ March which is scheduled to take place in Washington, DC. He is backed by DJ collectives, major record labels, and multi-faceted corporations. In addition, The Untouchable DJ Drastic is involved in numerous non-entertainment industry related ventures. Cloud Kicker Original originated in 2007. The company embraces the lifestyle of both skateboarders and young urban adults. The apparel line’s target age group is 16 – 30 years of age. The company’s mission is to build and maintain a strong, viable position as an influential apparel line that is tastefully embraced by all ethnicities, nationalities, and races worldwide. What’s The Untouchable DJ Drastic Wearing These Days? 10AK Custom Clothing! The Untouchable DJ Drastic can be spotted worldwide and in New York City regularly wearing customized garments. 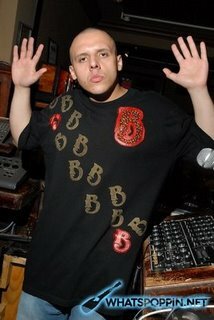 Most recently during New York City’s Dynamic Producer conference and during a live performance at The Plumm nightclub, he was spotted wearing a custom BumSquad DJz t-shirt. After receiving numerous compliments on the garment, The Untouchable DJ Drastic acknowledged the shirt’s designer. Having been one of the first individuals embraced by the 10AK Custom Clothing brand, he continues to be spotted wearing the company’s newest garments. He is officially endorsed by the brand being spotted wearing both custom BumSquad DJz & Coalition Network apparel. Each garment is uniquely designed by hand for the individual ranging between $199.99 and $499.99 in price. Only the finest materials are used during the creation process including Czech glass bugle beads, Swarovski crystals, or even real diamonds depending on your budget. 10 AK Custom Clothing founder Brady Nields started the company out of his home in Glen Cove, New York and has since designed custom garments for both entertainment and music industry heavyweights alike. Nields, who is also known to work with director Rik Cordero at Three/21 Media started the 10 AK Custom Clothing company out of a pure love for garment design.